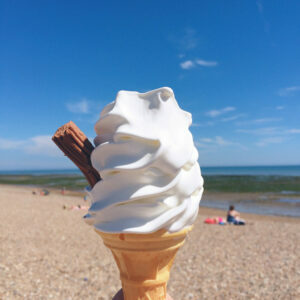 Summer is almost upon us, the time when the words ‘are we there yet’ will be ringing around cars up and down the country. Summer is a time when some get away from it all taking holidays either in the UK or abroad. For those taking holidays in the UK it’s almost inevitable that a long drive will be required to get there. If you aren’t going away, day trips can become more frequent and sooner rather than later your vehicle has racked up a lot of long journeys and many more miles. No matter where you head for this summer it’s a good idea to get the car checked over before setting off. The usual oil and water are essential items to check before any big journey, but what about the tyres and wheel alignment. Some may scoff at the notion of getting tyres and wheel alignment checked before the summer journeys start, however it’s often at this time your vehicle will be doing more miles across a long journey than any other time of the year. So if your vehicles wheels aren’t aligned properly, the impact can be felt not only in fuel economy but also in safety and of course in comfort. Who wants to drive a solid 6 hours with a wobbly steering wheel or constantly having to correct the car drifting to one side on the motorway? The answer is simple – get the wheel alignment checked before you go. AM Tyres summer wheel and tyre check. At AM Tyres we not only check your tyres but we can also improve the overall driving experience prior to you setting off on holiday. Our comprehensive digital wheel alignment service resets the steering and wheel alignment back to factory settings, ensuring that annoying drift is eased and the wheels run as they should. In addition we take a look at the tyres checking for correct inflation, good tread pattern and potentially dangerous defects. 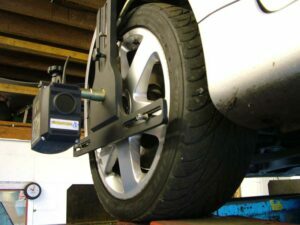 We can also check the balancing of every wheel on your car to ensure the wheels and tyres are in tip top shop ready for all those summer excursions. Why put up with drifting when it can be diagnosed and improved with a quick and easy digital alignment from A&M Tyres of Wigan. What ever you do and where ever you go have a great summer! Book your summer check today.